This 7,000sf loft space is located at the Industry City complex in Brooklyn. The project is within a renovated factory built in the late 1800s, overlooking the East River and Gowanus Bay. The program is organized around providing design, fabrication and prototyping space for the development of new concepts to be used in restaurants worldwide. The new Lab elements work within the existing open plan space by inserting object-like additions. The workshop and finishing areas consist of visually freestanding walls lined with plywood paneling to define each work zone. The workshop is enclosed for noisy/ dusty construction, with the capability of opening onto the finishing area to create a fluid design/build process. The finishing area is centrally located for ease of access to the workshop and display prototyping areas. 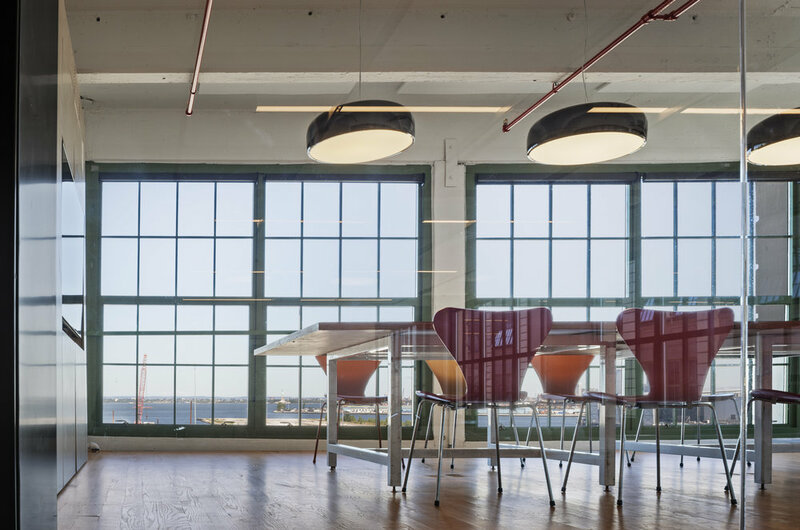 The raised platform at the West end of the space comprises an open workspace and an enclosed meeting room, with a cantilevered steel and glass observation platform overlooking the prototyping area. Both of these raised areas also provides views of the harbor and downtown Manhattan. The ceiling, structure, and existing walls are left exposed, revealing the building’s raw industrial quality. The original wood floors are sanded and refinished, but continue to show the years of industry evident in the space. 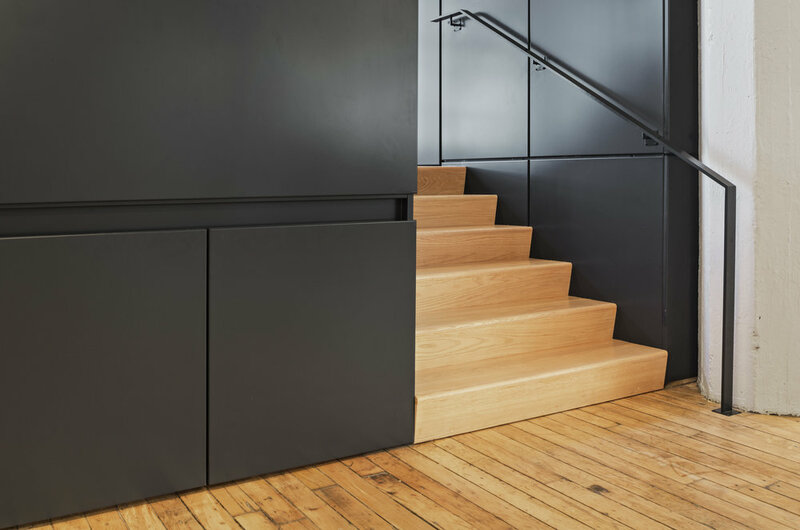 New materials are limited to powder coated steel, clear glass, white painted walls, and birch plywood cabinetry.